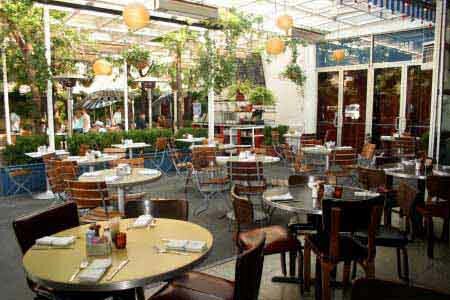 Lovely outdoor/indoor garden atmosphere. It really is a little oasis in the east village, and it was the perfect spot to meet 9 others for a pre-show dinner. The food was fine- nothing to write home about. I had fish and chips, minus the chips, plus a little salad. We had some guac and chips on the table- which were quite good, but it’s pretty rare that guac and chips are not good. Avocado all mushed up. Deep fried crispy things. What could really be bad about that….but I digress. The one thing that I was highly UNimpressed with was the fact that my mojito was only 2 bucks less than my entree. A little ridic, don’t ya think? I’d go back anyway, to re-enjoy the lovely ambiance.